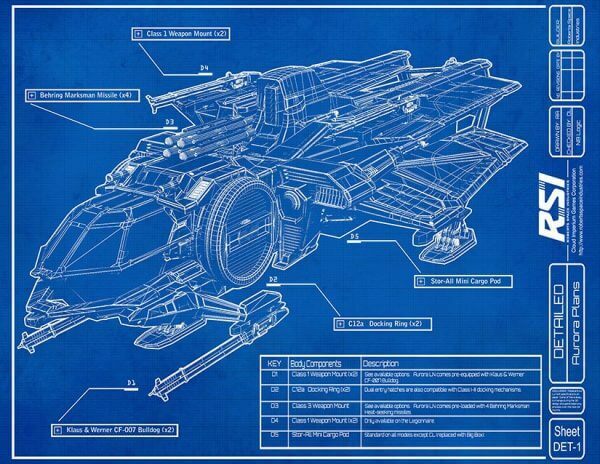 The Star Citizen Aurora Review - Would You Stake Your Life on It? HomeTransmissionsStar Citizen Aurora Review – Would You Stake Your Life on It? 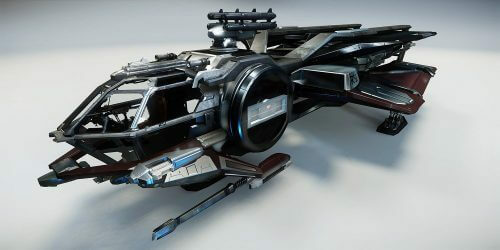 Star Citizen Aurora Review – Would You Stake Your Life on It? This review of the Star Citizen Aurora will look at all five of the Roberts Space Industries Aurora models available to players in Star Citizen. The Aurora is a direct descendant of the X-7, the first ship that Roberts Space Industries used to test the very first jump engines. Its basic design keeps the cost down while the broad range of missions it can handle make it really appealing to those just trying to get off-world for the first time. RSI’s Aurora isn’t likely to win any design contests, but it has everything that needed to get you out into space and doing whatever you need to do. All of the Auroras are single crew ships with a small amount of cargo capacity (via an external cargo box that you can add on) and a bed. The bed will allow you to log out while in space which is a nice feature that the other starter package ship (the Mustang) does not have. Each model comes with slightly different equipment as standard, depending on that model’s focus. Starting with any of the Aurora models should allow you to do small cargo missions in safe space so you can build reputation and UEC in order to purchase a better ship. It remains to be seen how expensive other ships will be within the ‘verse, but it can probably be assumed that you’ll be using your Aurora for a little while before you can afford something else. The Aurora ES (Essentials) model is the base model produced by RSI. It is meant to be a low cost ship for those looking to make their first push out into space. As its name implies, the essential has only the bare necessities needed to fill its designed role as a starter/exploration ship. It comes with two size 2 fixed weapons and has an open hardpoint that can mount one size 2 missile rack. The shield is a size 2 and should be good enough to let you safe move through secured areas of space. The Aurora ES is no longer offered as part of a game package. When purchased separately, it will run you $20 and come with a SelfLand hangar and 6 months of insurance. 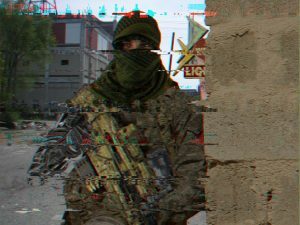 The Aurora MR (Marque) is RSI’s base interdiction model. The MR comes equipped with two size 1 guns which are not very potent and can have one size 2 missile rack added as an aftermarket purchase that will give it a little more firepower. It comes standard with a size 2 shield, but has the ability to equip up to a size 3 as an upgrade. Even with missiles added, the MR should not be looking for fights in the ‘verse. At the first sign of danger it should probably try to immediately break contact. The stand-alone Aurora MR will cost you $25 USD and comes with the ship, a SelfLand hangar and 6 months of insurance. The Aurora MR SC Stater package comes with Star Citizen, a SelfLand hangar, 1,000 UEC to cover your initial cost of running you ship and 3 months of insurance. The Aurora MR Star Citizen + Squadron 42 Combo package comes with everything the other package has and adds in the stand-alone game Squadron 42. 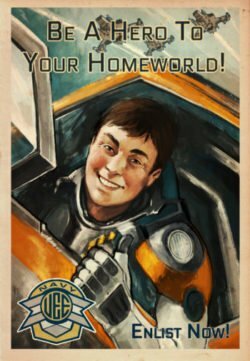 If you haven’t signed up for Star Citizen yet, make sure you check out our article for those new to the game before you do. The Aurora LX (Luxury) is made for those that want a little more style in their Aurora or want to have one around to remind them of their roots. It comes standard with a patent leather interior. Designed as an explorer or light mercantile ship, it should be able to fill that role relatively well. It’s exploration ability will be limited by its lack or any onboard exploration suites or scanners, but these could possibly be added in the future as an aftermarket part. The LX comes standard with two size 2 guns, a size 2 missile rack and a size 2 shield. The stand-alone Aurora LX will cost you $30 USD and comes with the ship, a SelfLand hangar and 6 months of insurance. The Luxury model is only available for purchase during select times of the year, so if you’re interested in one, you’ll have to wait for them to come up for sale. The Aurora LN (Legionnaire) is RSI’s attempt to make a cost-effective patrol/combat craft for militias and civilians that need more firepower without the cost of a dedicated combat ship. One of the LN’s strengths is that it keeps the cargo capability of the base Aurora model. As a combat ship, it is much better than other Auroras but it’s still far behind other combat vehicles. The Legionnaire comes equipped with two gimballed size 2 weapons, a size 2 missile rack and a size 3 shield generator. It can also equip two fixed size 2 weapons making it the best armed Aurora by far. The stand-alone Aurora LX costs $35 USD and comes with the ship, a SelfLand hangar and 6 months of insurance. The Aurora CL (Clipper) is the dedicated mercantile model of RSI’s Aurora. The CL changes exchanges a smaller power plant and less armor for close to double the storage capacity of the other Aurora models. 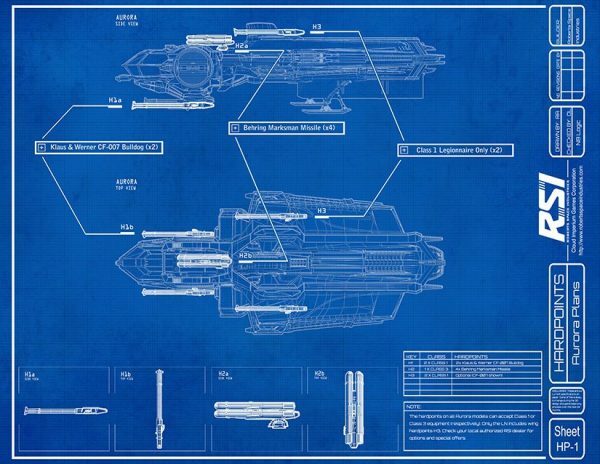 At its price point, the Clipper is the most expensive Aurora model and is very close to the Avenger Titan in price. For $5 more I would go for the Avenger Titan instead of the Clipper. The Avenger is a dream to fly compared to and of the Auroras, can carry cargo and features a modular storage hold that can be used for other careers in the ‘verse. The CL comes standard with a size 2 shield (up-gradable to size 3), two fixed size 2 weapons, and can later add a size 2 missile rack. It also features a Tarsus Electronics AT Jump Scanner and a Stor-All Big Box (model A) as standard equipment. The stand-alone Aurora CL costs $45 USD and comes with the ship, a SelfLand hangar and 6 months of insurance. Make sure you check out our Mustang review to see if that suits you better. Check out this video for a sneak peek at the newest rework of the RSI Aurora! What can I say about the Space Coffin that hasn’t already been said about most Test Squadron members? It’s disgusting, ugly and extremely slow. The Aurora is a dime a dozen and pretty much a piece of crap. The LN isn’t horrible if you have to fly one, but it’ll still get smoked by pretty much everything else out there. That being said, because there’s so many Auroras out there, it’s easy to blend in. No one even looks in your direction twice. If you want to fade into the background and not be remembered then the Aurora is the ship for you. You can’t load it up with too much cargo but if you fill it up with high dollar black market merch, you can make a killing. Just don’t piss anyone off or that Aurora is going to pop like a zit on one of those dudes that live in their parent’s basement playing Star Marine in their Sim Pod until they’re 40. Head over to our Transmissions page for more Star Citizen ship reviews!